Part of a new development in Edina’s Morningside neighborhood, this five-bedroom home takes full advantage of its sloped, wooded site. It was a builder’s dream come true and a future homeowner’s as well: an undeveloped wooded site in the middle of the beautiful Edina Morningside neighborhood. Sidell Trail encompasses seven lots, including this one with a steep slope on the backside. Builder City Homes used the site to great advantage for this 5,272-square-foot home at the end of a cul-de-sac in the leafy suburb. The cottage-style living room features fresh white paneling, millwork, and bookcases. Multiple roof gables and a spacious front porch with a distinctive arched entry greet visitors. 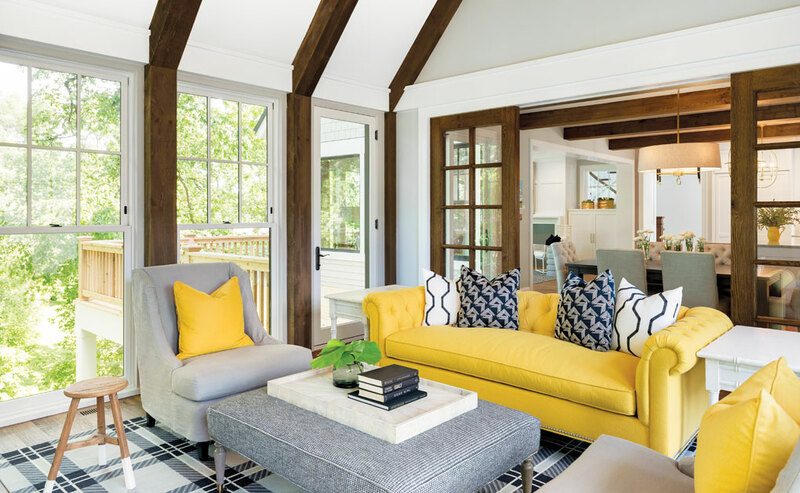 Inside spaces are infused with a fresh twist on a modern cottage, courtesy interior designer Rebecca Van’t Hull of Martha O’Hara Interiors. 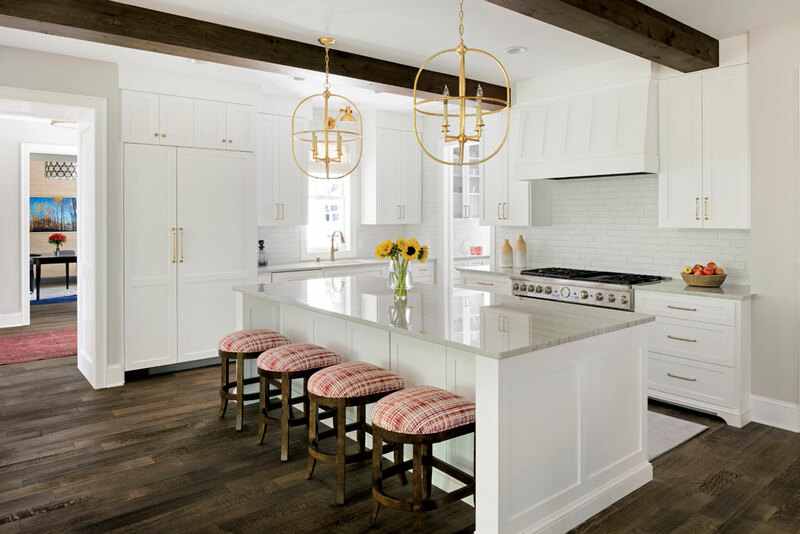 The kitchen boasts a quartzite island with seating for four. 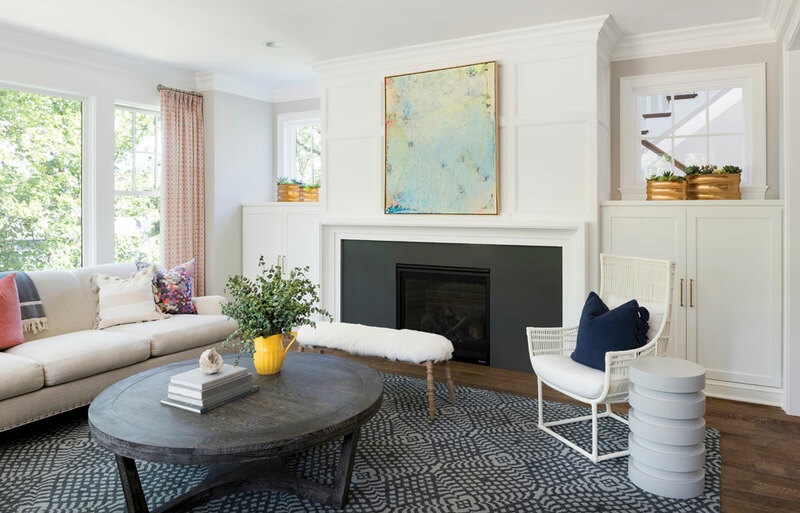 The airy office is decorated with a vintage Turkish over-dye rug and woven grass-cloth wallcovering, both of which play intriguingly with the dark gray painted millwork. 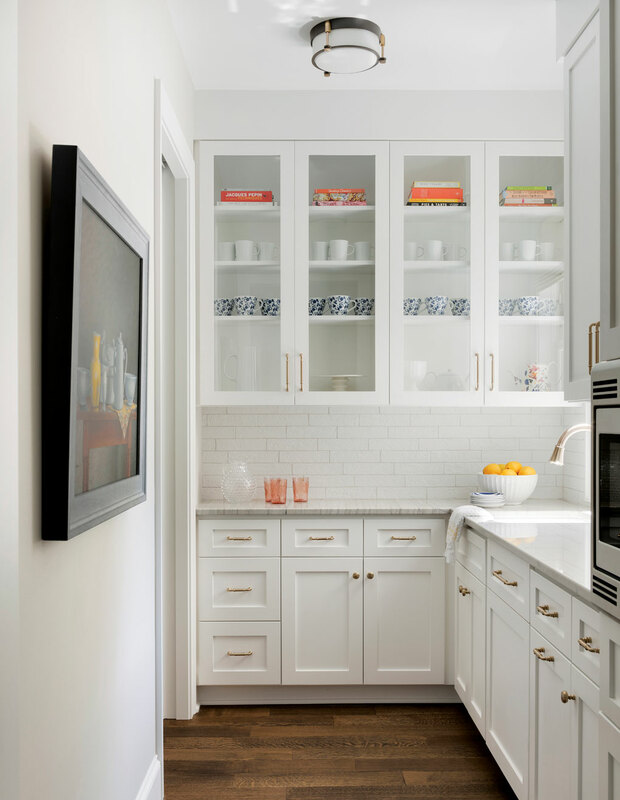 The kitchen and living spaces flow easily into an open space that allows for conversation and interaction. 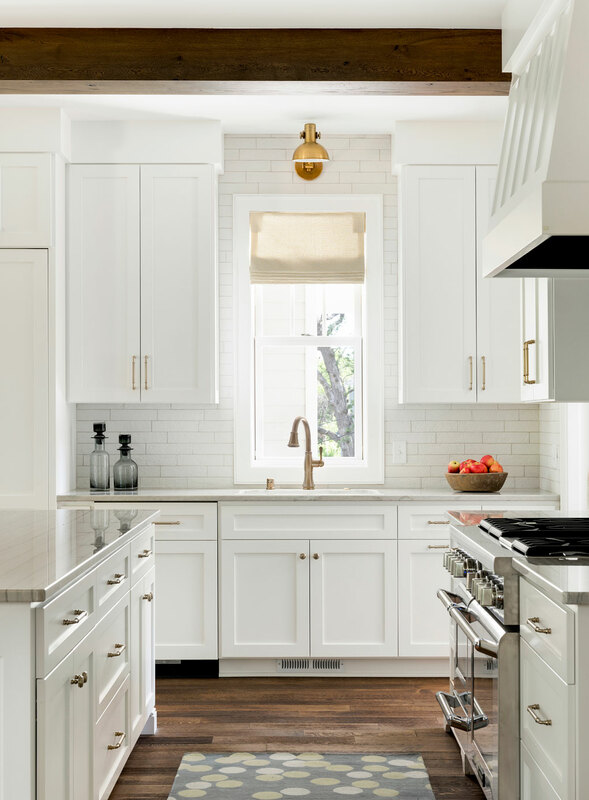 The beautiful kitchen features Thermador appliances and a quartzite island. Through an adjacent doorway, a galley tucked behind the main kitchen area is ideal for messy prep work or catering needs. The adjacent pantry/galley keeps prep messes out of sight. Beyond the casual dining area is a wall of wood-and-glass sliding doors that open into a “Minnesota Room,” a porch-like space with a lofted ceiling, Douglas fir timber beams, an imposing stone fireplace, and massive double-hung windows on three sides, which are made by Minnesota’s own Marvin Windows. This year-round porch, dubbed the “Minnesota Room,” creates an outdoorsy vibe with its timbered beams, stone fireplace, and double-hung windows on three sides. 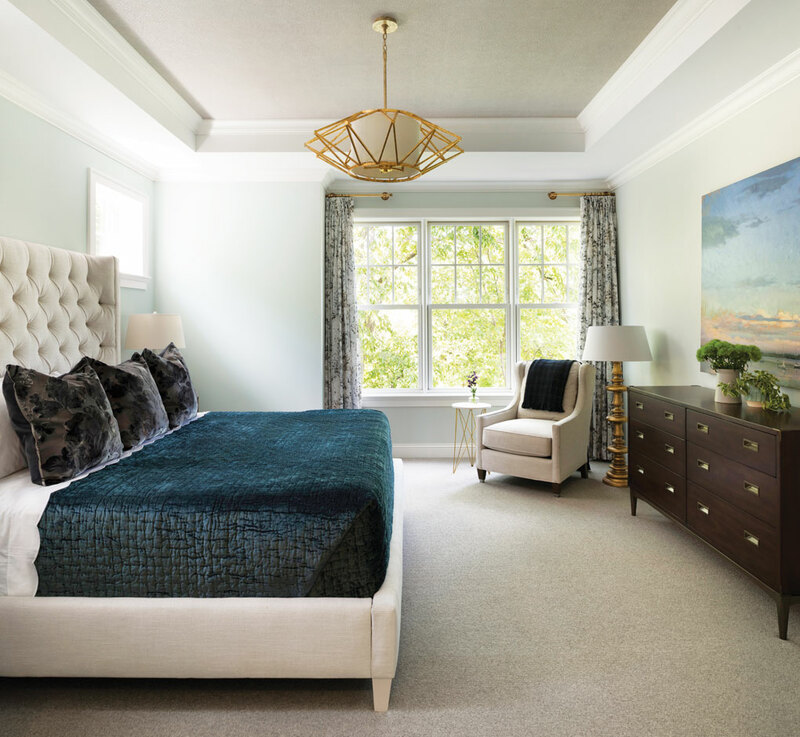 The roomy master bedroom offers a tranquil view of the treetops. On the second floor you’ll find a pair of children’s bedrooms with a Jack-and-Jill bath, and a third ensuite bedroom. 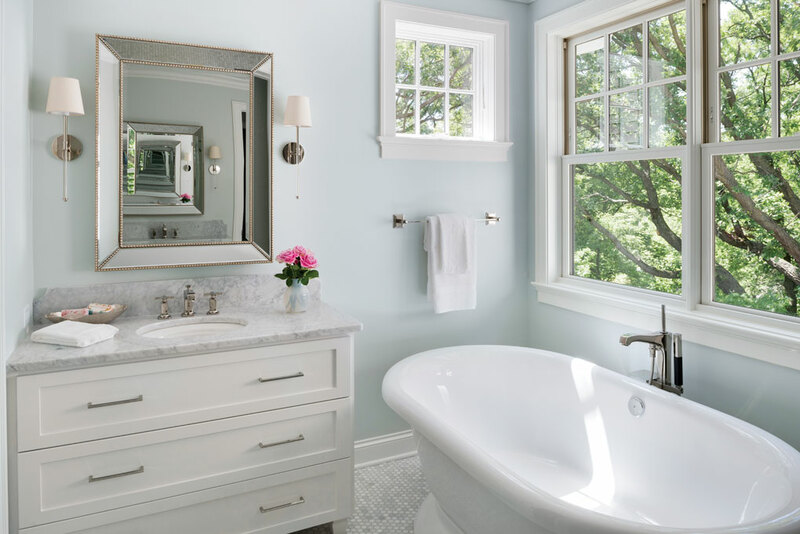 The master suite features a freestanding tub, a rain shower, and ample wardrobe spaces. Downstairs, the vibe is all about entertaining and relaxing. The focal point is a 12-foot custom bar, created from a tree felled on the property. A beer tap is built into the brick wall behind the bar. Even on the lower level, the view to the outdoors is largely leafy trees, with barely a glimpse of any neighboring houses. 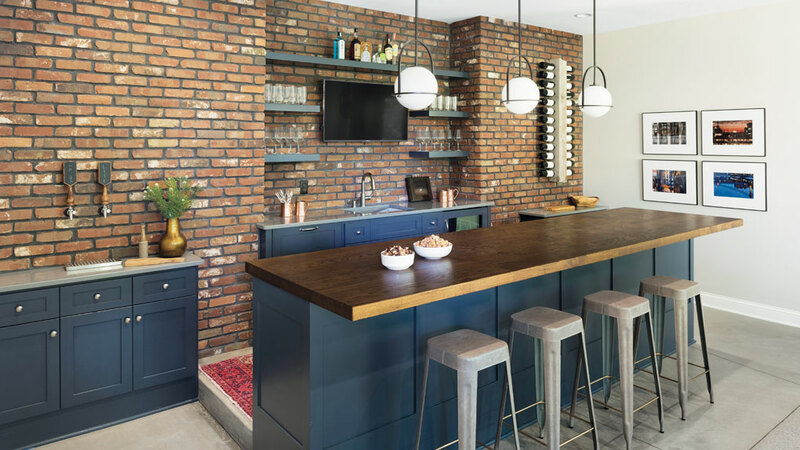 The lower-level entertaining space features a 12-foot bar made from a tree felled on the property and a built-in beer tap.